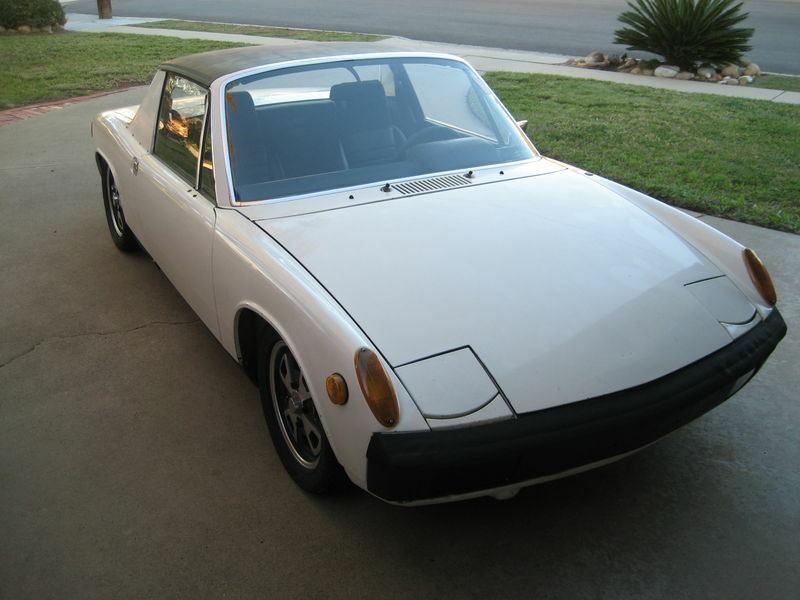 If you want to pick up an aircooled classic Porsche that isn't a total basket case for less than $10k, there is only one game in town -- the Porsche 914. Some folks will shout and yell that it's got too much Volkswagen DNA lurking under the sheetmetal, but if you have watched the prices of everything luft gekuhlt in the past few years, the 914 certainly looks cheap. 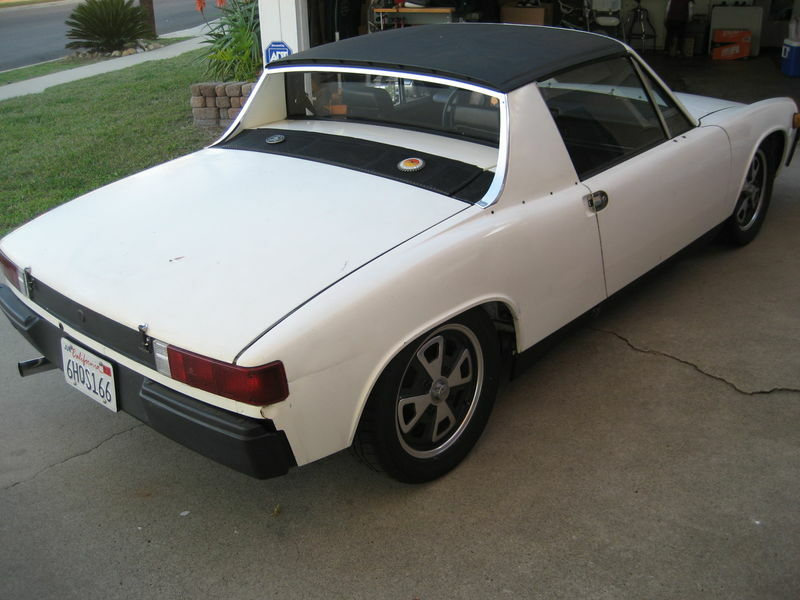 Find this 1975 Porsche 914 offered for $8,400 in San Diego, CA via PelicanParts forums. The Porsche 914 was originally conceived as a dual purpose range topping Volkswagen and low-end Porsche, to replace the Karmann-Ghia and 912 respectively. The initial plan of marketing the 6-cylinder version as Porsche and the 4-cylinder as VW was eventually canned and lowly 4-banger version got a Porsche crest too -- hey, I've got no beef with a 4-cylinder Porsche! 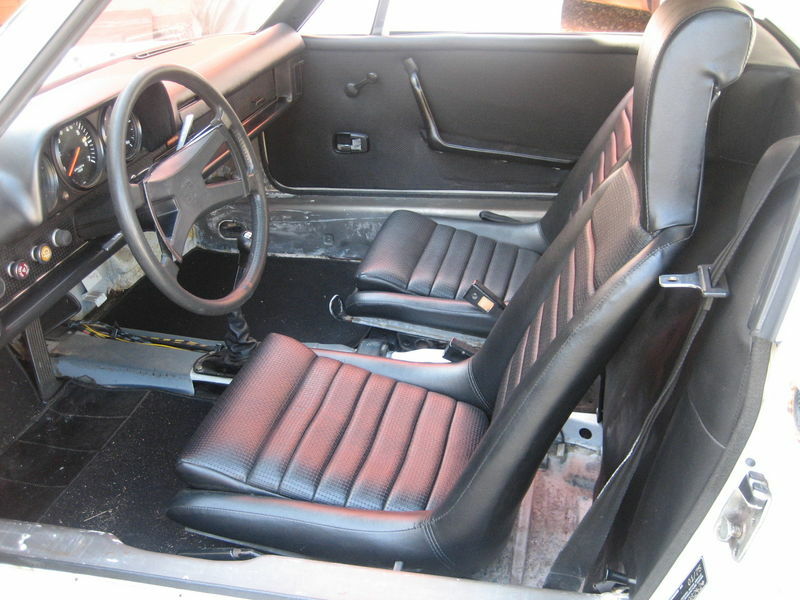 The '75 914 was available with a 1.8 liter or optional 2.0 liter "Type IV" flat-4 -- this is the lowly 1.8 liter that puts out 76 horsepower in US spec, which isn't much power, but the 914 is light and nimble. This thing features original paint and runs/drive nicely -- seems like a deal. Seems to be the real deal. Fortunate soul who has been looking for just the right one.